Welcome to the 21st century of skincare, where cleansers, serums and creams have to make space on your vanities for products that are much, much more fun to use. The newest “beauty gadgets” on the market not only amp up the effectiveness of your regular products, but over time they can really make a difference in the overall look of your skin. And did I mention they’re kind of amazing to play with? There are zillions of different options out there when it comes to skincare tech, and an Amazon search for “beauty gadgets” runs the very real risk of sending you down an hours-long black hole. As a user of beauty gadgets, I rounded out some of my absolute favorites that are well worth the investment. From a magic wand that promises to erase your wrinkles to a mirror that basically does your makeup for you, these 10 pieces of tech will catapult you into the future of beauty looking better than ever. 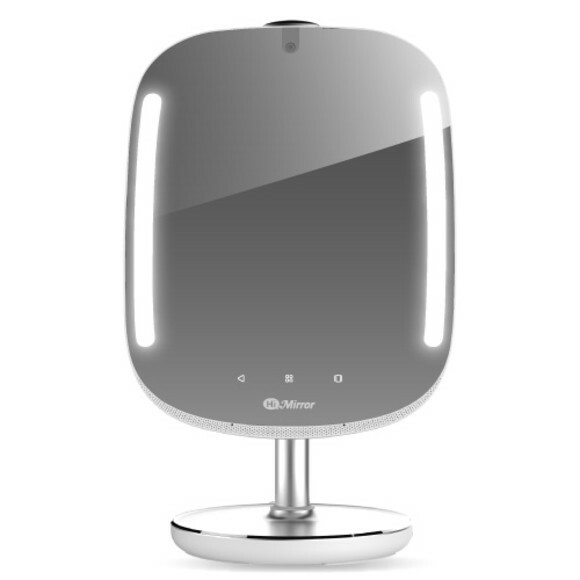 Your vanity is about to get a whole lot smarter. The thought of voluntarily sticking your face with teeny, tiny needles may sound like the millennial equivalent of medieval torture, but in reality it’s more like a luxury facial than anything else. As a general practice, microneedling pokes microscopic holes in your skin to allow products to permeate your pores more deeply, and it also helps stimulate collagen and over time can decrease the appearance of fine lines and acne scarring. The GloPro version of the device, the Microneedling Regeneration Tool ($199), uses LED light and tiny vibrations, which the company claims can make your skin absorb topical products up to 200 times more effectively. As a regular user of this bad boy for the last two months, I can honestly say that there is a visible difference in my skin. After years of slathering on brightening and anti-aging creams, my acne scars and eleven lines have finally started to disappear. The Smart Profile ($349) is like the Rolls Royce of Clarisonics, and does a whole lot more than your usual deep clean. 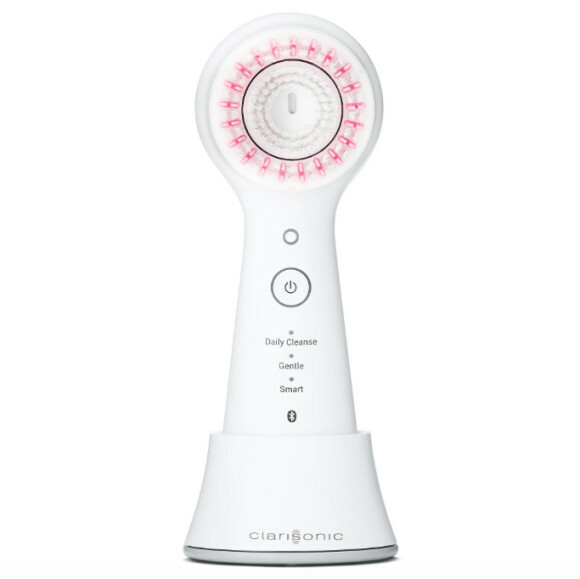 Like most other Clarisonic models, It comes with two brush heads — one for the face, and one for the body — that clear out your pores and slough off dead skin. But the Smart Profile is also fitted with a third head that works as a massager, which fights visible signs of aging if you use it over time. It’s also said to help products permeate more deeply into your skin, which means you’ll get even more bang for your pricey Vitamin C serum buck. There’s technically no such thing as magic wand that can reverse signs of aging, but Nurse Jamie’s Uplift Facial Massaging Beauty Roller ($69) might just be the next best thing. The Kardashians and their flawless complexions swear by her sorcery, and stars like Emily Ratajkowski and Jessica Alba are die-hard wand users. 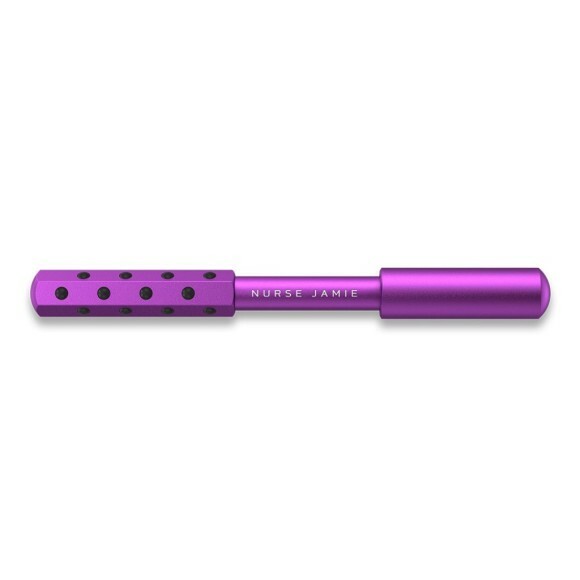 Touted as a “workout for your face,” you roll the purple over your skin and let it work its wonders. It’s outfitted with 24 tourmaline quartz stones, which are said to tone, tighten and energize skin. Basically, it’s like having a celebrity facialist living in the top drawer of your vanity. 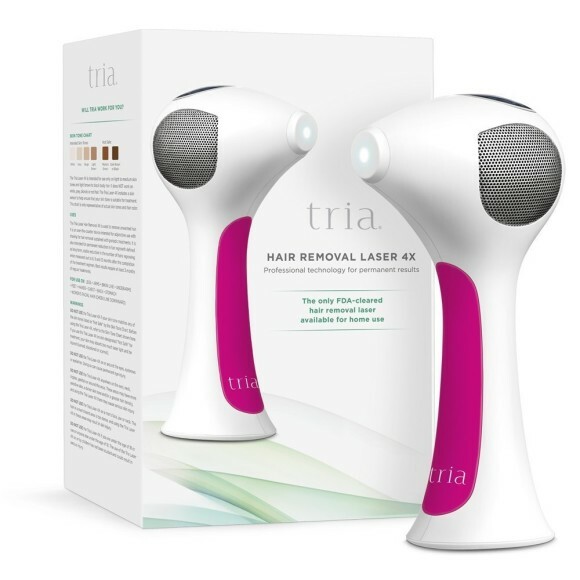 It’s rare to find an at-home laser hair removal system that compares to the ones used in medical spas, but the Tria Hair Removal 4X laser ($449) is about as close as as I’ve found. It’s the only at-home laser that’s been cleared and approved by the FDA, and targets the hair follicle by disabling it underneath the skin and eventually causing it to fall out. The result: Smoother skin and less peach fuzz. 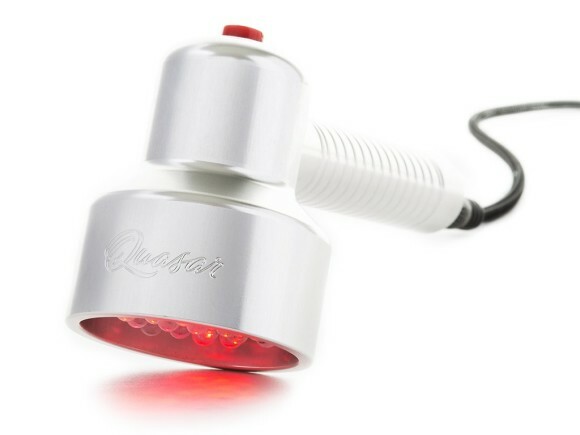 Erasing your wrinkles with a light bulb may sound like something out of a sci-fi movie, but that’s exactly what the Quasar MD Plus ($559) promises to do. It uses LED bulbs with four different wavelengths of light, including red and infrared, to stimulate collagen underneath the skin. Massage it in small circles all over your face to help improve elastin and reduce the appearance of fine lines around your eyes and forehead. Microcurrent technology is a facialist favorite thanks to its anti-aging powers. According to The Dermal Institute, studies have found that microcurrent treatments can help stimulate collagen and elastin production after 20 days, and research has shown that it can help amp up cell repair and regeneration. 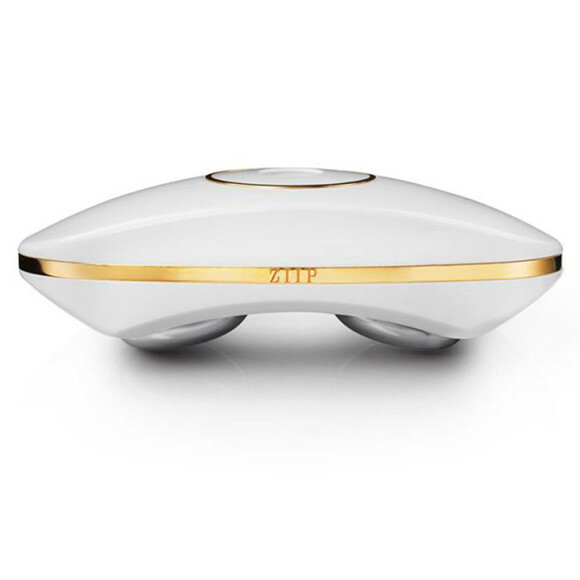 The ZIIP Beauty Device ($495) allows you to give your skin some sub-surface stimulation right in your own bathroom. Don’t worry — the whole “electrical current” thing doesn’t hurt nearly as badly as it sounds like it would. Cleaning your makeup brushes is one of those annoying beauty chores that no one likes to do, which means most people probably aren’t doing it enough. But dirty brushes can transfer bacteria onto your face, which can cause a whole set of issues for your skin. The Brushean ($98) uses UV-C sterilization technology to clean your brushes after every use so you don’t ever have to think about it. All you have to do is stick them into the case when you’re done perfecting your highlight, and let it do its thing. You can go ahead and toss that fancy brush cleaning shampoo and drying mat in the garbage now, if you’d like. The HiMirror Mini ($119) is one of those products that could have come out of a ’90’s movie — à la Cher Horowitz’s closet cam in Clueless — but at the time seemed too good to be true. Well, this is the real deal, and it’s pretty much the smartest makeup mirror you’ll ever meet. It not only offers different lighting and magnifying options to help you perfect your look, but it also lets you watch makeup tutorials right there on the screen and then digitally try the makeup out for yourself. Its list of tricks is too exhaustive to include, but if there were ever a “mirror of the future,” this would be it. Did I mention you can also link it to your Spotify? The practice of skin shaving is nothing new, but it became popularized in the US in the last few years thanks to the collective obsession with K-Beauty. While taking a straight-up razor to your face really does work wonders for exfoliation and hair removal, for some people it may be a little… much. Instead of grabbing a BIC (or, if you’re really trying to commit, a Shiseido Facial Razor), try the Dermaflash ($189). The latest iteration uses a super-sharp blade and gentle vibrating technology to slough off dead skin cells and get rid of peach fuzz. From staring at a computer screen to blinking approximately a bajillion times, your eyes work hard all day. So it’s no wonder that by bedtime, the delicate skin around them is often dark, crinkly or sunken in. Treat the area to the love it deserves with a mini-massage, care of Foreo. The technology behind the brand’s Illuminating Eye Massager ($139) was inspired by Asian fingertip tapping eye massages, and is said to improve the contours in the area by helping to enhance the effectiveness of creams and serums.